Nearly two million animals were subjected to “distressing and disturbing” scientific procedures at British universities during a single year, animal rights campaigners have said. Rats, mice, monkeys, sheep, rabbits and fish were all used for tests during 2013 in the name of scientific research, with just six universities accounting for a quarter of national animal testing, figures released under the Freedom of Information Act reveal. The data, collected by the British Union for the Abolition of Vivisection (BUAV), showed there were 4,121,582 licensed scientific experiments carried out on 4,017,758 animals during the year, with some subjects experiencing “distressing and disturbing” procedures. Top of the list was the University of Edinburgh, who used over 200,000 animals, closely followed by Oxford University (190,169), University College London (181,295), Cambridge University (169,353), King’s College London (132,885) and Imperial College London (130,358). “Shockingly, universities account for half of the total number of animals used in experiments carried out in the UK and are responsible for some particularly distressing and disturbing experiments,” said Taylor. “Yet, despite growing concern regarding animal research, much of it is publicly funded,” she added. 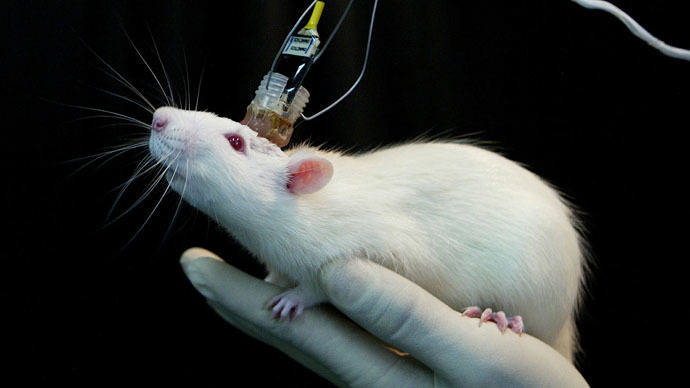 The BUAV estimates 43 percent of the UK’s universities use animals for scientific research purposes, and of the 71 universities they approached for information, 67 confirmed they carried out experiments on animals. King’s College London said they have produced many medical treatments as a result of their experiments, and they have gained insight into the effects of drugs used to treat Parkinson’s disease. A spokesperson for Cambridge University said their research was important for the progression of medical science. Cambridge came under fire in late 2014 after it was revealed the British Heart Foundation is funding scientific research, which involves keeping rats in low-oxygen environments. Animal rights group Animal Aid called the university’s research “deeply disturbing” after they discovered rats were being held in “hypoxia chambers,” starving them of oxygen for 14 days before being killed for posthumous analysis.